If you had “spring 2018" in the Red Dead Redemption 2 delay pool, congratulations. 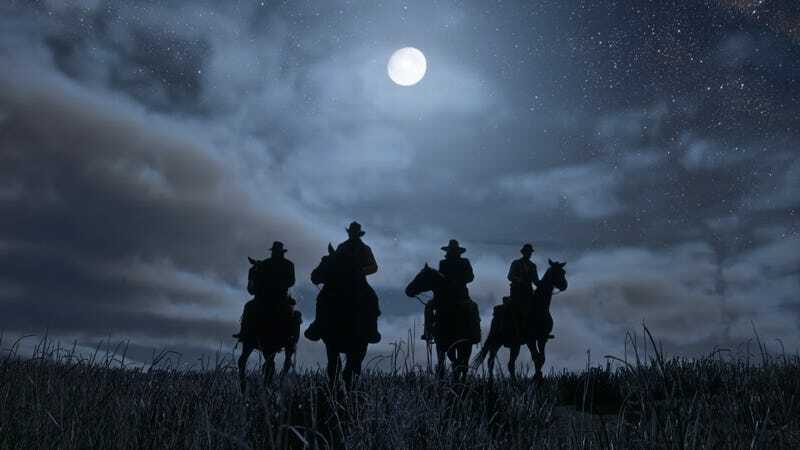 Rockstar announced today that the highly anticipated western game will not make it this year after all. Rockstar has delayed pretty much every game they’ve announced in the past decade, so this shouldn’t come as much of a surprise to anyone. The company initially targeted Grand Theft Auto V for 2012 before announcing a spring 2013 release that was later delayed to September 2013, and Rockstar also pushed back the first Red Dead Redemption several times.